Many people are scrambling to find ways to repair their credit. They are desperate to fix their money problems and are easily susceptible to credit repair scams. This article will help you identify credit repair scams and what to do if you have a credit repair problem. Improving your credit can be helped with the aid of a trustworthy credit repair lawyer but you can also make the effort to do credit repair it on your own. The first step in the process is being able to identify who you can trust. If you are dealing with someone who is promising to repair your credit and they are asking for money up front before they do anything, you are likely to be dealing with potential fraud. You should ask questions and find out the reputation of the organization and their practices. No reputable credit repair company will suggest that you create a new credit history and tell you how to do it since it is illegal. If you find someone who is suggesting you lie to get a new social security number or they are telling you that you can use an employer identification number to create a new history, walk away and do not use their service. Creating a new credit history is illegal and is not prudent credit repair. Any illegal suggestion is a red flag warning that they are not a reputable company. Another potential warning sign of a credit repair scam is when the company soliciting you does not have a physical office you can call or visit. Online credit repair companies that are legitimate will have a mailing address and phone number where you can call to speak to a real person. You can check with your local Better Business Bureau for more information on any company and to find out if there are any complaints filed against them. When a credit repair service wants you to pay to be informed of your legal rights, they should not be used. Advising you not to contact the credit bureaus yourself is another warning sign. As a consumer, you have the right to contact the credit bureaus with questions or to get your own information or credit report. Being advised that you should dispute all information on your credit report is also not appropriate. You should only dispute information on your report that is actually wrong as providing false information is illegal. Following such advice could place you in the position of potentially committing fraud yourself and you can be at risk of prosecution. If you have been victimized by a sham credit repair company, you can get help from government agencies that monitor credit repair scams. It is illegal to victimize consumers and there are laws in place designed to protect you from credit repair scams. If you are concerned that you might be the victim of a credit repair scam, contact the FTC with your concerns. You can also file a complaint for consumer fraud if appropriate. You have three days to cancel a signed contract made with such a company. Make sure you first check the reputation of any credit repair service you are thinking of hiring and before you sign a contract. It takes time and effort on your part, but you can repair your credit yourself and avoid being scammed. The first step you should take is to get your credit report from the three credit bureaus. 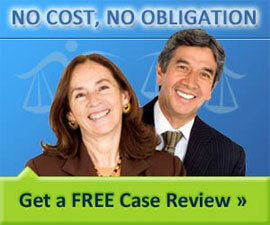 You are entitled to one free report each year and then the other two will cost no less than $25 in total. You should get all three so you have an accurate view of your credit history. You should review them carefully and then dispute any outdated items or mistakes and get them removed. By law, credit bureaus must remove false information or outdated information. You can also get a free report from any company that denies you insurance, employment or credit, based on your credit report. There is a 60 day time limit to ask for this report after an adverse action was made against you because of the credit report. These three credit bureaus have also set up a central website at AnnualCreditReport.com and you can call them at their toll-free telephone number (877-322-8228) to find out how to get your free annual credit report if you do not want to get it online. If you would like to write and request your free yearly report, the mailing address is Annual Credit Report Request Service, P.O. Box 105281, Atlanta, GA 30348-5281. You can also get more information about consumer credit from the FTC website.